Purchase your comfortable Clark Custom Guns T-Shirt today. 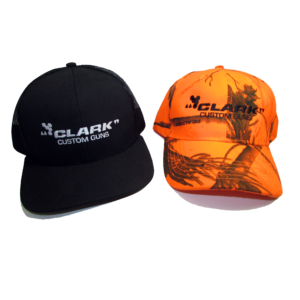 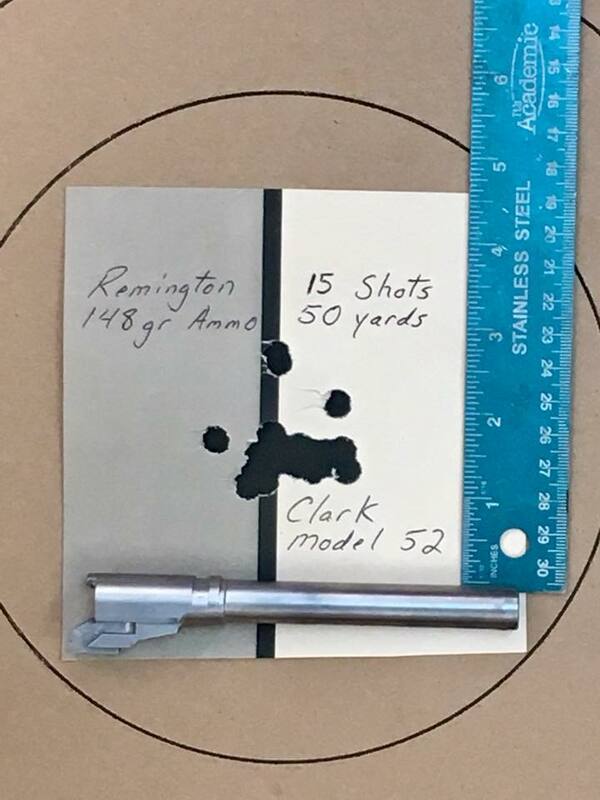 The shirt shows off the Clark Custom Guns logo on the front, and the Clark name with a beautiful 1911 pistol on the back. 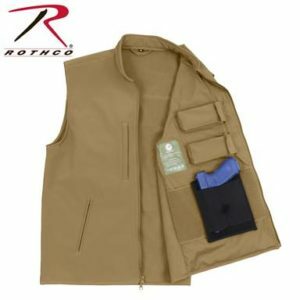 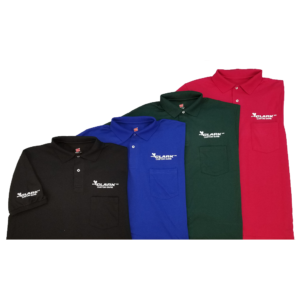 Machine washable, 50/50 cotton/polyester blend. 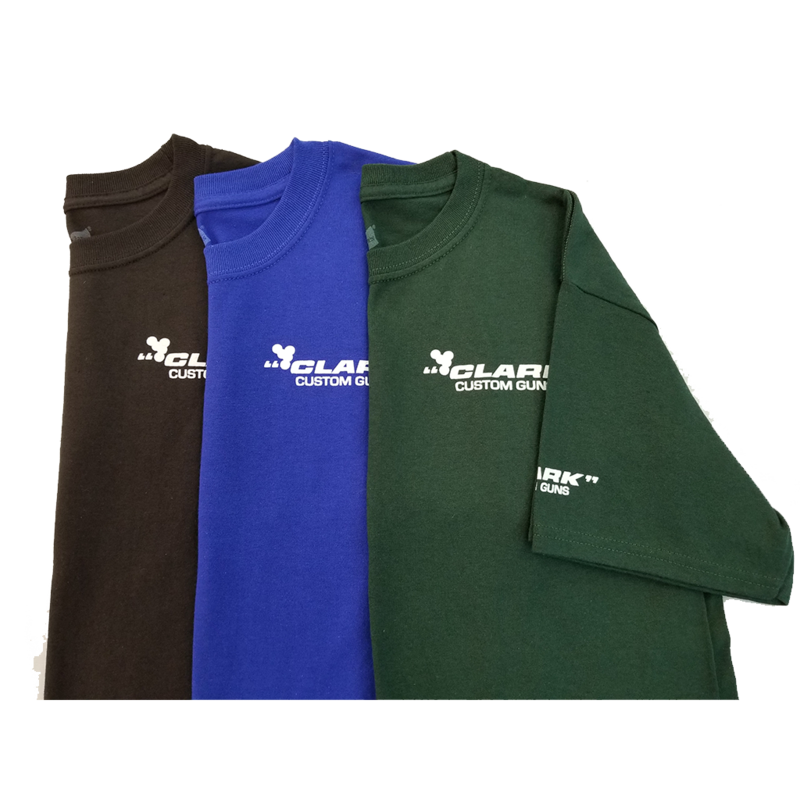 Available in Back, Blue and Green and sizes from men’s Small through men’s triple eXtra-Large.